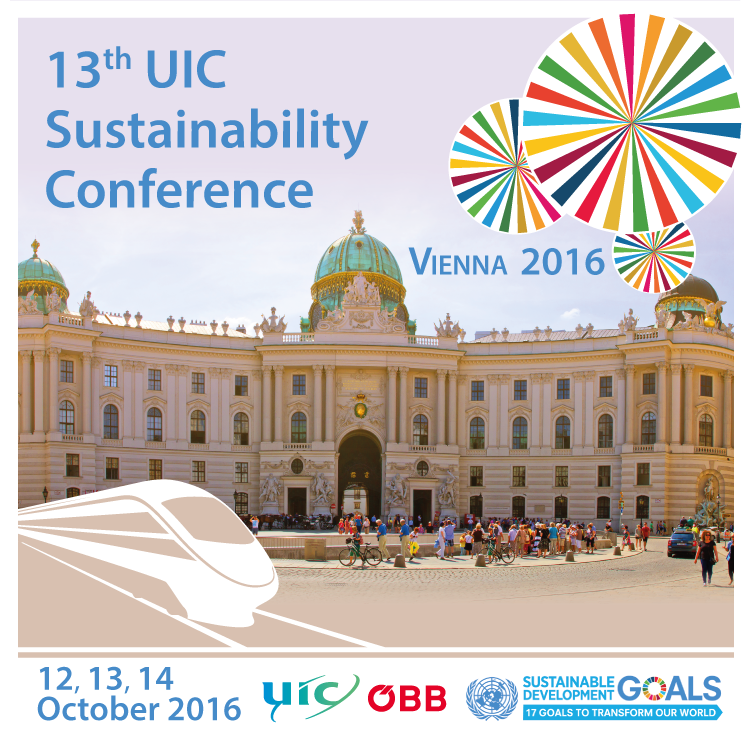 The 13th UIC Sustainability Conference, jointly organised by the International Union of Railways (UIC) and Austrian Federal Railways ÖBB, will take place in the glorious Imperial city of Vienna at the famous Hofburg International Congress and Event Centre. This conference will examine both the contribution that rail can make towards delivering the 2030 sustainable development agenda and also how sustainability can give rail a competitive advantage. 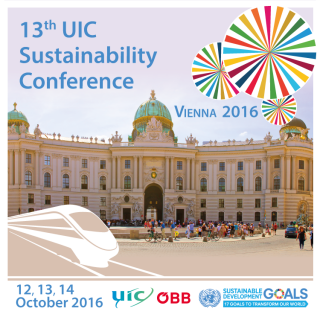 High level speakers from the United Nations, World Bank, EU Commission, Austrian government, railway companies from different countries, EU transport institutions, followed by a gala dinner - all registered participants to the Conference are invited to this dinner. Numerous parallel sessions will focus on key sustainability issues affecting the rail sector including workshops on energy, noise, carbon, sustainability reporting, climate change adaptation, sustainable mobility, recycling and sustainable procurement, sustainability for maintenance activities. The technical visit will take place in the new Rail Freight Centre South Vienna. The bus for the Technical Visit will leave in the City center (Close to the opera) at 9:15 and the group will be back there around12:30. "Vistit our New Rail Freight Centre South Vienna. Main emphasis has been placed on efficient links to the new economic regions in the Balkan region, in order to strengthen environmentally-friendly inter-modal transport there as well. In conjunction with transport towards the west an efficient network is expected to be created, to provide the region with the best possible links to its most important trading partners. The tour lasts about 1,5 hours (excluding transport to location)." Participants are also invited to join a visit of the cultural highlights of Vienna. Please contact philippe@uic.org to register to the technical visit. Only registered participants to the conference and confirming as soon as possible their participation to the visit can join.